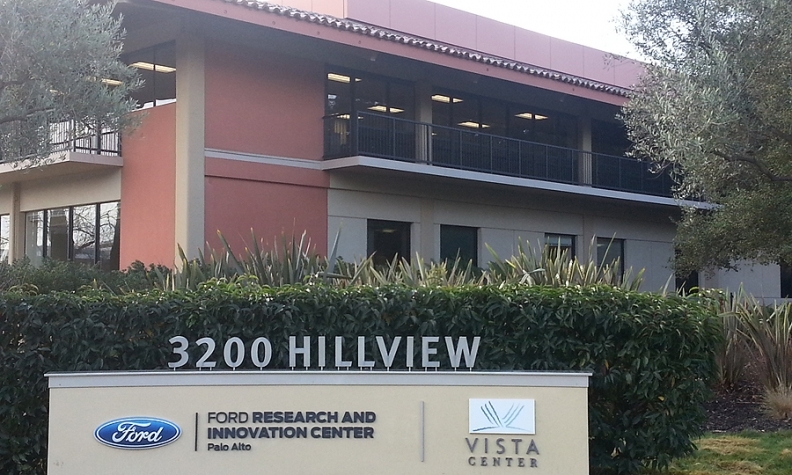 Ford is doubling the workforce at its Palo Alto research center. Ford Motor Co. is accelerating its development of self-driving cars by more than doubling the size of its Silicon Valley lab and taking a stake in Velodyne Lidar, the leading maker of an advanced radar that is an essential sensor in autonomous driving. Ford and China’s top search engine company, Baidu, are investing a combined $150 million in California-based Velodyne, the company said in a statement. Lidar bounces light off objects to asses shape and location, which, along with cameras and traditional radar, give self-driving cars a 360-degree view of their environment. Velodyne said it will use the investment to “to rapidly expand the design and production of high performance, cost-effective lidar sensors,” with an aim to mass adoption. Ford said it’s also doubling the workforce to 260 at its Palo Alto, California, research center, which will increase in size of the facility sixfold to 180,000-square feet over three buildings. The moves are part of a broader announcement from Ford on how it’s expanding autonomous-car development as it chases Google's self-driving car project as well as efforts by General Motors and other automakers. Ford CEO Mark Fields is due to address the media at the automaker’s Silicon Valley lab later Tuesday.